DAVIS—UC Davis Professor Jay Rosenheim researches, lectures, and publishes his work on predator-prey interactions, but he's now targeting another kind of predator: an insidious foe that can be as stealthy and powerful as it is terrifying. But it's a foe that society eventually will defeat, declares Rosenheim in his newly published article, Short- and Long-Term Evolution in Our Arms Race with Cancer: Why the War on Cancer is Winnable, in the journal, Evolutionary Applications. 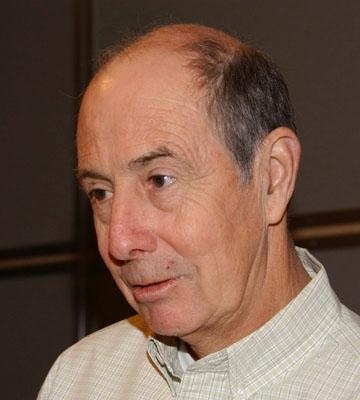 “Human society is engaged in an arms race against cancer, which pits one evolutionary process – human cultural evolution as we develop novel cancer therapies – against another evolutionary process – the ability of oncogenic selection operating among cancer cells to select for lineages that are resistant to our therapies,” wrote Rosenheim, a 28-year member of the UC Davis Department of Entomology and Nematology faculty who has battled chronic myeloid leukemia (CML) for the past seven years. Although the professor does not mention his own cancer diagnosis in the article, he is open about the disease, both with students and his peers. “Prior to 2001, CML was a very bad disease, with little chance of survival beyond three to five years,” Rosenheim related. Then in 2001, the Federal Food and Drug Administration approved imatinib, the first of the “targeted chemotherapies.” Time magazine hailed it as “the new ammunition in the war against cancer” in its May 28, 2001 cover story. 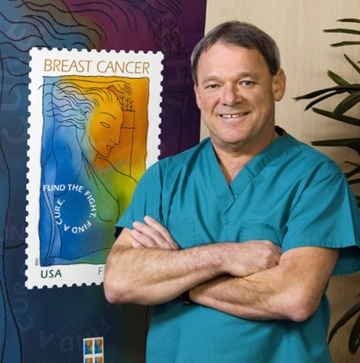 Dr. Ernie Bodai stands by the Breast Cancer Research Stamp, a project he spearheaded. He served as chief of surgery for Kaiser Permanente, Sacramento, for 15 years. “Indeed, cancer battles are being won, but the war is far from over and goes on,” said Bodai, a 1977 UC Davis School of Medicine alumnus, a UC Davis clinical professor of surgery, and a nominee for the 2015 Congressional Gold Medal. Noted for his cancer awareness drives, he convinced Congress and the U.S. Postal Service to issue the Breast Cancer Research Stamp and is currently introducing a “global stamp” to raise worldwide awareness. Turning to the Rosenheim article, Bodai noted “I appreciate the intricacies of our bodies, environmental factors, potential adaptations, mutational potentials as they may not only play a role, but potentially, rule the development of carcinogenic activities. The author and I share two common characteristics: first, we are both cancer ‘survivors'--a term I am not particularly fond of as it may imply that we were successful, as others were not through no fault of their own--and second, it appears that we share a deep commitment to fight cancer on all fronts. The hypothesis of a mutagenic potential of cancer cells to overcome the effectiveness of current and future potential treatments is alarming and should be of concern to all, especially future generations. 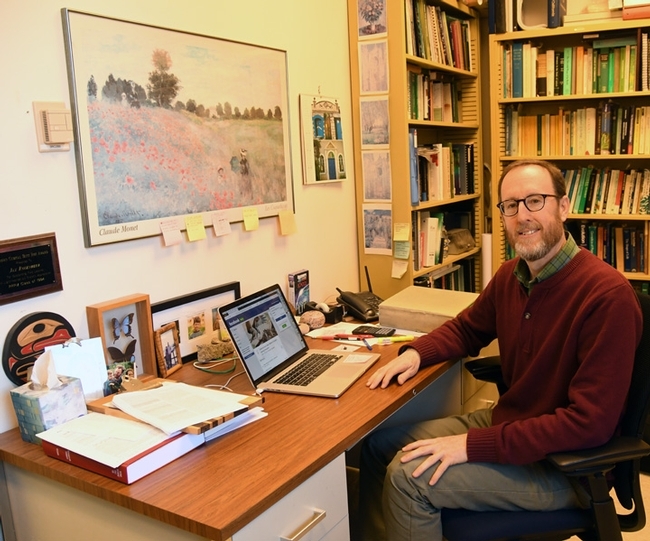 Rosenheim, who joined the UC Davis entomology faculty in 1990, is a fellow of the American Association for the Advancement of Science, a member of the Entomological Society of America, and a co-founder of the UC Davis campuswide Research Scholars Program in Insect Biology. 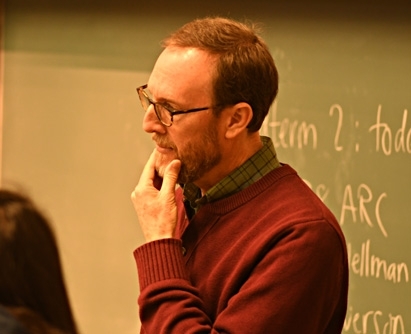 Highly honored for his teaching, he received the Academic Senate's Distinguished Teaching Award for Undergraduate Teaching and the Associated Students' Excellence in Education Award. 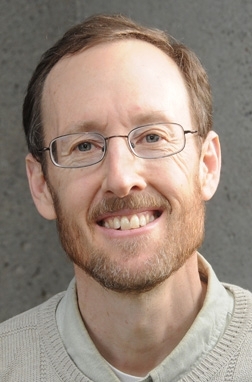 DAVIS--Jay Rosenheim, professor of entomology, UC Davis Department of Entomology and Nematology, will be among the speakers at a meeting on Tuesday, June 6 of the Pesticide Use Report (PUR) Analysis Workgroup, UC Agriculture and Natural Resources. He will speak at 10:45 a.m. on "Using Farmer Data to Improve Pest Management in California Citrus." The half-day meeting takes place in the UC ANR Building, 2801 2nd St., Davis, beginning at 8 a.m. with registration. “Using Behavior to Change Behavior: the Value of PUR Data in Entomology Education and Extension programs” by David Haviland, UC Cooperative Extension, UC ANR. Light refreshments and lunch will be provided upon registration by clicking at https://ucanr.edu/survey/survey.cfm?surveynumber=20565. Continued Education units are also available. For questions: contact Steering Committee members. Jay Rosenheim, professor of entomology, UC Davis Department of Entomology and Nematology, is the recipient of the 2016 Distinguished Scientist Award from the International Organization of Biological Control, Nearctic Region Section (IOBC-NRS). He focuses his research on the behavioral, population and evolutionary ecology of parasitoid-host and predator-prey interactions. His work has direct applications to integrated pest management and biological control in agriculture. Rosenheim explains on his website: "I am an ecologist with broad interests, including behavioral and evolutionary ecology as well as population and community ecology. I focus on predator-prey, parasitoid-host, pathogen-host, and plant-insect interactions. My general approach is to try to ask important, fundamental questions in ecology with an eye to advancing our basic understanding and, when possible, to simultaneously make contributions to solving problems in the real world. I attempt to integrate empirical studies (observational work, manipulative experiments) with theoretical investigations (simulation and basic analytical models); I often find that I can make the best progress with my research problems by conducting a dialogue between theory and experiment. I also try to balance work in natural ecosystems and in agricultural ecosystems, where predators and parasitoids are so important as biological control agents." 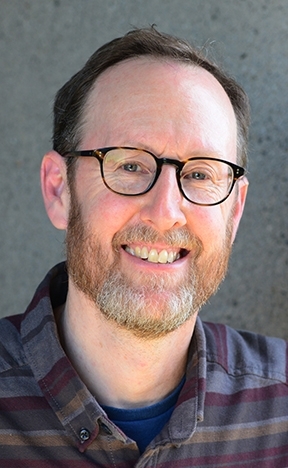 Rosenheim joined the UC Davis faculty in 1990 as an assistant professor, advancing to associate professor in 1994, and full professor in 1998. 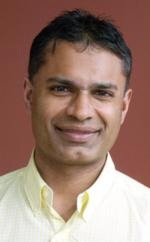 He is active in the Entomological Society of America, Ecological Society of America, Society for the Study of Evolution and the American Association for the Advancement of Science. He received his bachelor's degree in entomology and genetics from UC Davis in 1983, and his doctorate in entomology in 1987 from UC Berkeley. The International Organization for Biological Control was established in 1956 to promote environmentally safe methods of pest and disease control in plant protection. The Global Council sponsors many international working groups and publishes a newsletter. 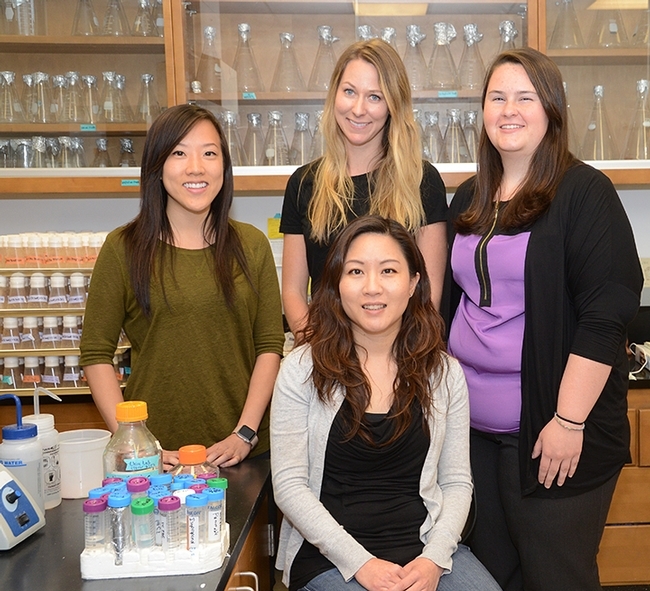 DAVIS--STEM is not just a fantasy word--or world--for three young women in Joanna Chiu's molecular genetics lab at the University of California, Davis. It's a reality. Early in their undergraduate studies, West and Murphy were accepted into the UC Davis Research Scholars Program in Insect Biology, a vigorous, multi-discipline, research and mentoring program administered by UC Davis Department of Entomology and Nematology faculty members Jay Rosenheim, Louie Yang and Chiu. 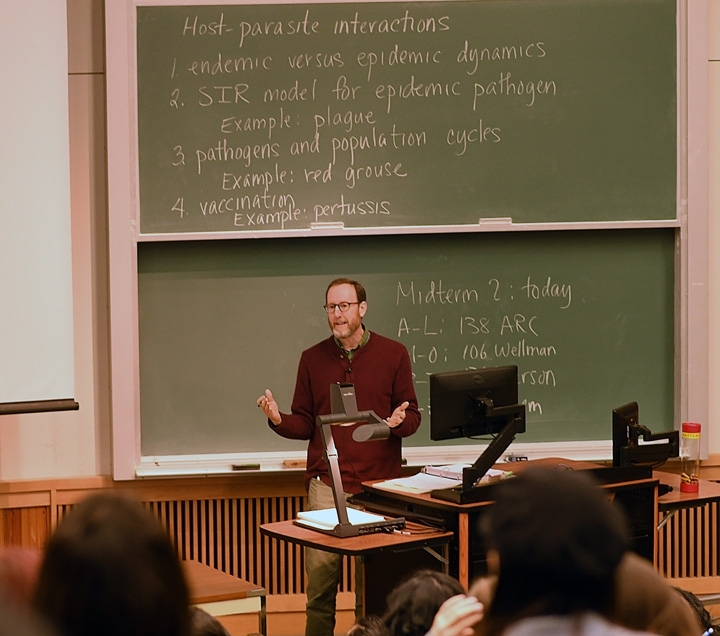 "Including this year, over the first six years that the program has operated, we have admitted 58 students, 36 of which (62%) are women," said Research Scholars Program co-administrator and professor Jay Rosenheim. Like West and Murphy, Kwok gained scientific skills and strong mentorship from Chiu, whose research interests span molecular genetics of animal behavior, circadian rhythm biology, and insect genomics. As a graduate student, Kwok won a two-year National Institute of Health fellowship in biomolecular technology. West, who will receive her bachelor's degree in bochemistry and molecular biology June 12, is the recipient of the 2016 College of Biological Sciences Medal—only one is awarded each year. She also won an “Outstanding Citation for Research Performance.” Although not yet in graduate school, West has already published two peer-reviewed articles. In November 2015, she received the President's runner-up prize at the Entomological Society of America (ESA) meeting in Minneapolis for her talk on the seasonal biology of the spotted wing drosophila, Drosophila suzukii. 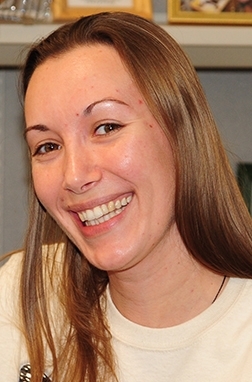 This fall she will enroll in the Ph.D. program in biochemistry at Cornell University, Ithaca, N.Y. “Over her undergraduate graduate career, Jessica has compiled an impressive list of awards and prizes,” said Chiu, an assistant professor in the UC Davis Department of Entomology and Nematology. Kwok, scheduled to graduate from UC Davis in the fall of 2016 with a Ph.D. degree in entomology, has already published six peer-reviewed papers, including one in PLOS Genetics, and has three more in preparation. As part of her requirement for her 2014-16 NIH fellowship, she will leave the Chiu lab in June 2016 to start an internship at OncoMed Pharmaceuticals, Inc. in Redwood City, CA. The internship is her last requirement before graduation from the Entomology Graduate Group. Like West, Kwok received a President's runner-up prize (2013 ESA meeting) for her presentation on the chronotoxicity of spotted wing drosophila, working with Chiu and Professor Frank Zalom, integrated pest management specialist in the department. “I believe Rosanna will have a very successful career in the biotech industry,” Chiu said. Murphy, who was accepted into the inaugural class for the Research Scholars Program in Insect Biology, began working in the Chiu lab her sophomore year. 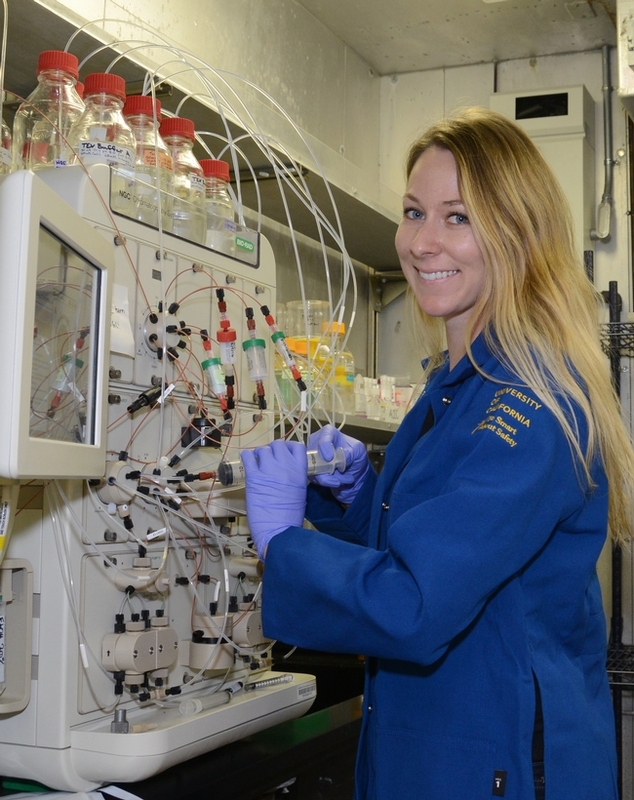 When she graduated from UC Davis in 2014 with a bachelor of science degree in neurobiology, physiology, and behavior, she received an “Outstanding Citation for Research Performance.” After graduation, she opted to stay in the Chiu lab to gain more research experience. 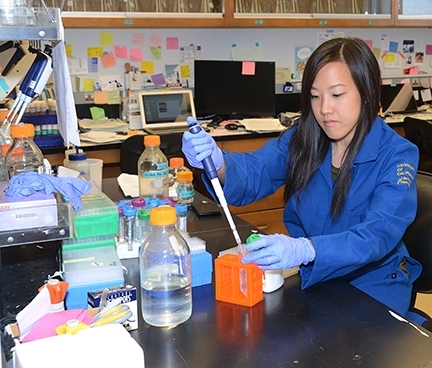 “Over her career in my lab--from undergraduate research to two years of technician-- Katie has already published four peer-reviewed papers, has one currently in review, and two in preparation,” Chiu said. She is also an author on a provisional patent application for a biopesticide that the Chiu lab developed to target insect pests. The three young women followed a similar path to get where they are today and strongly encourage others to pursue STEM careers. Jessica West, who grew up in the Redding area of Northern California, spent her childhood in the small town of Shasta Lake before enrolling at UC Davis. Rosanna Kwok grew up in Las Vegas, Nev. –“Yes, people actually live there,” she quipped. “I have always been interested in having a career in science,” she recalled, “and it just took a bit of exploration before I found myself studying the circadian clock under the mentorship of Joanna. The most exciting and motivating thing about being a scientist is knowing that I have the resources to answer the ‘how' and ‘why' questions regarding biological phenomenon. “I believe that in order to get more people in general interested in science, there needs to be more communication between scientists and people who are not in STEM fields,” Kwok said. “Not only will this show that large scientific achievements can be made by real people, it will also help prevent the misconceptions and distrust in science that we sometimes see." Katie Murphy spent her childhood in a small rural town in Lake County, Northern California. “ I grew up on a pear farm, which exposed me to the staggering amount of fruit that goes to waste if the appearance of the fruit is not perfect enough for the grocery store,” she related. “I believe we have a duty as a society to be less wasteful, and therefore I feel inspired to find ways to turn waste into useful materials." 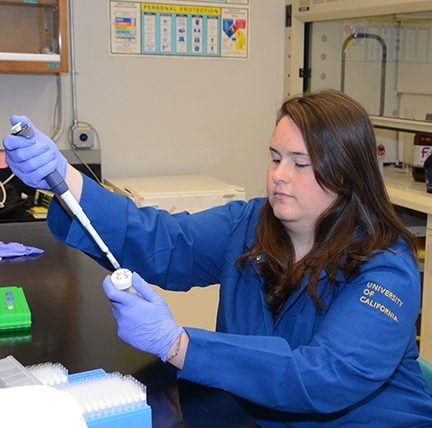 As an undergraduate research assistant, she was awarded a UC President's Undergraduate Research Fellowship for the summer/fall of 2012 for her project, “Transgenic Yeast as an Organic Pesticide.” She explored the use of RNAi technology in combating the invasive pest, the spotted-wing drosphila, Drosophila suzukii. Murphy's career plans? “I am pursuing a career in metabolic engineering,” she said. “The technology I hope to develop uses microbes to produce fuels and chemicals from ‘leftovers' such as agricultural waste and non-edible plant materials. This technology will reduce dependency on fossil fuels and provide sustainable energy alternatives."